Video can no longer be ignored. It has been proven businesses that incorporate video into their content marketing strategy grow their revenue faster than those who don’t. You need an effective way of engaging your customers and prospects and making your brand stand out in a text-heavy internet world. Videos are easier and more fun to digest than all text content. And more memorable. The top video marketing statistics show video content is effective and the demand for it is growing constantly. Based on an online survey conducted by Hubspot, video content is preferred especially from a brand or business. Consumers prefer learning about a product by watching a video about it. It is such a powerful communication medium that using the word, “video” in an email subject line will increase your open rates. But it doesn’t stop there. In addition, it helps reduce unsubscribe rates. A video is a good way of explaining something complex, particularly for new product launches. It can express the idea of your marketing campaign in a more engaging way for your subscribers as it appeals to more senses and involves movement. By nature, we are visual people. Visuals are memorable. It will help convey the information you are delivering. 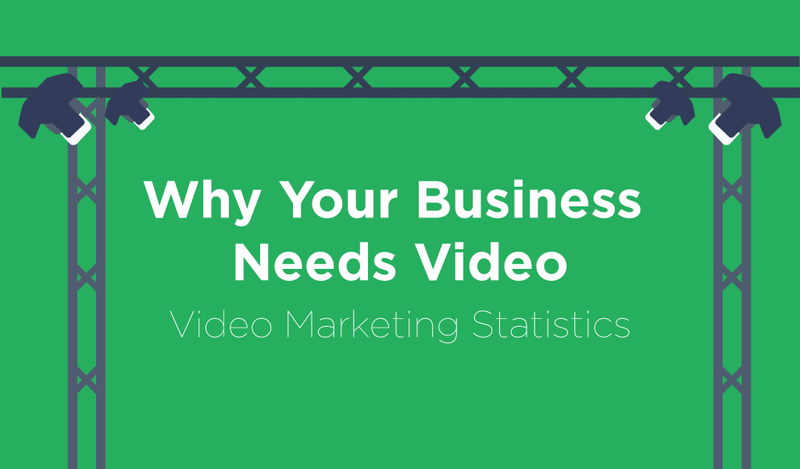 The infographic specifically demonstrates the value of video and small businesses that fail to include it in their marketing strategies will do so at their own expense. This is a guest contribution from Mike Clum of Clum Creative.